Traveling to great arts and cultural epicenters, such as Paris, Rome, Naples, and Barcelona, was the inspiration to start my own journey, incorporating my masonry background with old world techniques to create a hybrid style of what I’ve learned. 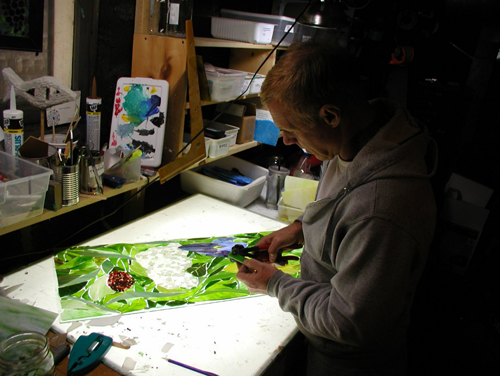 I use glass, stone, marble and other mediums to create what my imagination coerces, requests, suggests or inspires me to do. My imagination beckons me until I start, and guides me until I finish.